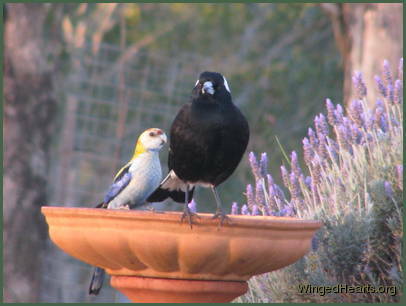 Different species of birds have different needs regarding access to water and plants. The extent and diversity of their territories and feeding habits influence their visiting times. But even more interestingly the ability to negotiate their visiting and access rights with other birds who are considered by them as the rightful owners of the territory has a major impact on their movements.